Making backups of system data is prudent. It can give you the freedom to test some ideas out, new systems, different data formats or columns to include. In general, making a backup at regular intervals, and whenever there&apos;s a major change at your end, is a good plan! 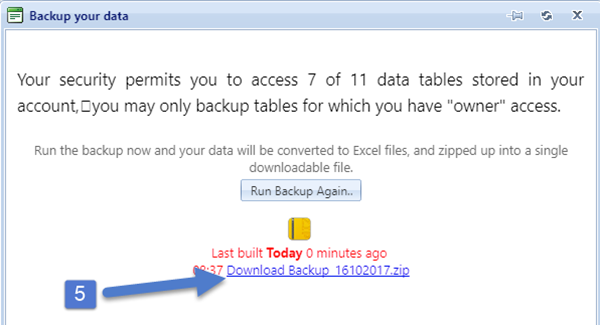 We&apos;ve now updated the backups so you can simply login, view your My Data, click on backups, and voila! You&apos;ll get the downloaded tables, 1 sheet per table, in a single zip file for ease of download and storage.